"A friend and I started a "senior exercise" class at church. We watched many videos before choosing this one to use. It is great!! - Jan D.
All this sounds like a lot of trouble, but it comes down to paying attention to your posture. Be mindful of the position of your spine. Remember what Mom used to say..."Sit up straight!" Scientists at the University of California studying brain activity found connectivity between parts of the brain responsible for memory formation and storage increased after a brief interval of light exercise – such as 10 minutes of slow walking, yoga or tai chi. The scientists asked 36 healthy volunteers in their early 20s to do 10 minutes of light exercise – at 30% of their peak oxygen intake – before assessing their memory ability. The memory test was then repeated on the same volunteers without exercising. The same experiment was repeated on 16 of the volunteers who had either undertaken the same kind of exercise or rested, with researchers scanning their brain to monitor activity. In the brains of those who had exercised they discovered enhanced communication between the hippocampus – a region important in memory storage – and the cortical brain regions, which are involved in vivid recollection of memories. “The memory task really was quite challenging,” said Michael Yassa, a neuroscientist at the University of California, Irvine, and project co-leader. The participants were first shown pictures of objects from everyday life – ranging from broccoli to picnic baskets – and later tested on how well they remembered the images. “We used very tricky similar items to to see if they would remember whether it was this exact picnic basket versus that picnic basket,” he said. The people who had exercised were better at separating or distinguishing between the different memories, say the scientists writing in the Proceedings of the National Academy of Sciences. “An evening stroll is sufficient to get some benefit,” said Yassa, adding that the frequency and exact amount of exercise will depend on the person’s age, level of mobility, potential disability and other lifestyle factors. The scientists also kept track of the participants’ mood changes. “With exercise you do get an enhanced mood. The question is whether that was explaining the effect we got on the behaviour or the effect we got on the brain and it wasn’t,” said Yassa. Michelle Voss, a neuroscientist at the University of Iowa, described the findings as “intriguing”. “The brain regions involved here are also the regions that are thought to play a big role in the deterioration of memory with ageing. […] It would be really exciting to see this type of experiment in older adults,” she said. Eating healthy is a lifestyle choice shaped by many elements, including our stage of life, situations, preferences, availability of food, culture, traditions, and the personal decisions we make over time. All your food and beverage choices count. MyPlate offers ideas and tips to help you create a healthier eating style that meets your individual needs and improves your health. For a colorful visual of MyPlate and the 5 food groups, download What's MyPlate All About?. There's also a link for Physical Activity. Take a look at A Brief History of USDA Food Guides to learn more about previous food guidance symbols. If you want to improve your quality of life, this government site may just be for you! Malnutrition is seen in varying degrees in the elderly, along with varying vitamin deficiencies. Malnutrition is due to under nutrition, nutrient deficiencies or imbalances. Most physicians do not see frank malnutrition anymore, such as scurvy; but more milder malnutrition symptoms such as loss of appetite, general malaise or lack of overall interest and wellness. The DASH (Dietary Approaches to Stop Hypertension) Eating Plan. What is the same as 1 cup of milk? One cup of yogurt or 1-1/2 to 2 ounces of cheese. One cup of cottage cheese is the same as ½ cup of milk. What is the same as oil added during cooking? Foods like olives, nuts, and avocado have a lot of oil in them. If you eat too many foods containing SoFAS, you will not have enough calories for the nutritious foods you should be eating. Ensuring adequate nutrition and proper intake of vitamins and minerals will help keep our aging population feeling more vital and ultimately more healthy, thus using prevention rather than intervention. Learn more about the U.S. Department of Health and Human Services DASH eating plan to decide whether it’s right for you or a loved one. A new study reveals high use of dietary supplements by Americans 60 and older. In addition to their prescription medications, many older people are taking multiple preparations that have not been approved by the Food and Drug Administration. The study, published in the October issue of the Journal of Nutrition, is based on data gathered by the government’s National Center for Health Statistics. It found that on a daily basis, 70 percent of older Americans use at least one supplement — preparations that include vitamins, minerals, herbs, amino acids, enzymes and other substances. Twenty-nine percent of older Americans use four or more supplements each day. Multivitamins and mineral supplements (39 percent) are the most commonly taken preparations, followed by vitamin D (26 percent), omega-3 (22 percent), B and B-complex vitamins (16 percent), calcium-vitamin D combinations (13 percent), vitamin C (11 percent) and calcium-only supplements (9 percent). Nine percent also use various herbal or plant-based supplements. The researchers found that supplement use tended to increase with age, and that people who took prescription medications were more likely to use supplements as well. Eight percent of older adults take three medications daily and at least one botanical supplement. That’s potentially worrisome, because some supplements can alter the effects of medications. For example, use of the herbal supplement ginkgo biloba with blood pressure medications could cause a person’s blood pressure to drop too much, and can raise the risk of bleeding for users of prescription blood thinners such as warfarin, according to the University of Maryland Medical Center. The researchers wrote that health care professionals need to carefully monitor their patients’ supplement use. In a study published in 2010, only a third of patients said their doctors had asked whether they used supplements. The study was conducted by researchers from the National Institutes of Health and Tufts and Purdue universities. Basically, it's a stronger flu shot. Four times stronger to be precise. This flu vaccine could significantly reduce the risk of hospitalization among especially vulnerable seniors, a large, random clinical trial has found. 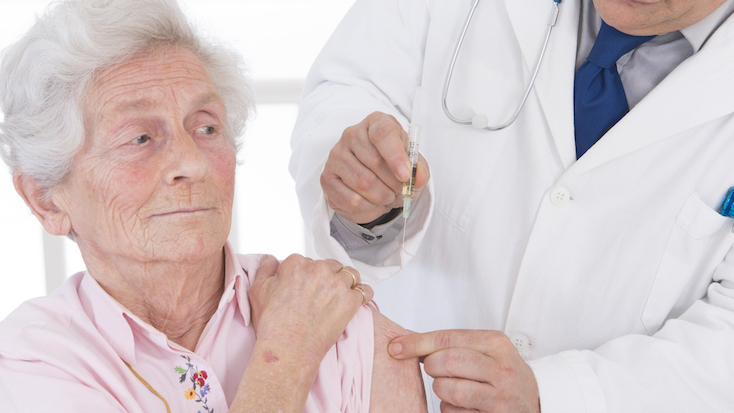 Vaccines typically don’t work very well in older people—a problem because the flu can lead to serious respiratory infections in frail patients such as elderly nursing home residents. While a prior study showed that older individuals could respond better to the high-dose vaccine, it focused on relatively healthy older adults, says lead author Stefan Gravenstein, professor at both the Warren Alpert Medical School and the School of Public Health at Brown University. It still needed to be established that it would help even the frailest folks, like those who reside in nursing homes. In this study, a quarter of the sample was over 90. DId the high-dose vaccine also work better than regular-dose vaccine in the population we consider least able to respond. This paper says yes, it can. The study compared hospitalization rates among more than 38,000 residents of 823 nursing homes in 38 states during the 2013-14 flu season based on Medicare claims data. Just under half the homes, 409 to be exact, administered the high-dose vaccine while the other 414 provided a standard dose. In the end, the hospitalization rate for respiratory illnesses among high-dose patients was 3.4 percent compared to 3.8 percent among standard-dose patients over the six months after vaccination. Statistical analysis revealed that the relative risk of hospitalization for respiratory illness was 12.7 percent lower for the high-dose group. Moreover, the rate of hospitalization for any reason, respiratory or otherwise, was significantly lower in the high-dose group as well. For every 69 people given the high-dose vaccine vs. the standard-dose vaccine, one more person stayed out of the hospital during the flu season. “Respiratory illness as the primary reason for hospitalization accounted for only about a third of the reduction in hospitalization that we measured,” says Gravenstein. For many patients, the vaccine appeared to help prevent hospitalization for other problems also, including cardiovascular symptoms. Gravenstein says the finding of a significant reduction in hospitalizations was particularly notable because the predominant flu strain during the 2013-14 season, A/H1N1pdm, was believed to be less virulent in older people who had spent a long lifetime building up immunity to similar strains. “That there was differential protection in this context both underlines the potential importance of even low-virulence or less transmissible strains to older populations and the fact that vaccines may afford relevant effectiveness among frail older persons even when A/H1N1 predominates,” the authors write. The study did not find a significant difference in the rate of death. Researchers speculate that while the standard-dose vaccine might not have been strong enough to stave off illness entirely, it may still have been sufficient to prevent deaths in combination with hospital care. But a significant reduction in hospitalizations can still be a benefit, Gravenstein says, even though the high-dose vaccine is more expensive than the standard-dose vaccine. Especially for older, frail patients, reducing otherwise necessary trips to the hospital can maintain a higher quality of life. Ultimately, Gravenstein says, the study should provide nursing home leadership with useful information to consider as they plan for future flu seasons. If you are, well, congratulations. If you are planning on signing up for Medicare, here are the 'basic' basics to know before enrollment begins October 15th. 35 measures of cost, accessibility and outcome. The measures included monthly insurance premiums, cost of visiting a medical professional, quality of hospitals, life expectancy and rates of cancer and heart disease. Cherry juice is not only refreshingly delicious, but it provides some solid health benefits, too. With about 120 calories per 1-cup serving, it is rich in nutrients like potassium and iron. Read on for eight reasons to sip and savor. Cherry juice may help recovery post-exercise. It is naturally high in potassium, which conducts electrical impulses throughout the body. This mineral also helps maintain blood pressure, hydration, muscle recovery, nerve impulses, digestion, heart rate, and pH balance. Cherries contain about 330 mg of potassium per cup, which is almost 10 percent of how much you need each day. Research shows that the antioxidants in tart cherry juice can reduce pain and inflammation from osteoarthritis. A 2012 study showed that drinking cherry juice twice a day for 21 days reduced the pain felt by people with osteoarthritis. Blood tests also showed that they suffered from significantly less inflammation. When people experience pain from swelling, they often turn to nonsteroidal anti-inflammatory drugs (NSAIDs). However, the effects of these drugs can be harmful, especially when you take them too often or have allergies. A 2004 study found that cherry juice supplements can reduce inflammation and pain-related behavior in animals, showing promise as a treatment for swelling in humans. Like all fruits and vegetables, cherries pack a powerful antioxidant and anti-viral punch. Flavonoids, a type of antioxidant in cherry juice, are made by plants to fight infection. Research shows that these chemicals can have a significant impact on immune system function. Most cherry tree varieties are chosen for how pretty they are. Many don’t even yield actual cherries! There is some evidence in animals that tart cherries can help adjust your body’s metabolism and your ability to lose abdominal body fat. One study showed that anthocyanins, a type of flavonoid responsible for cherries’ red color, act against the development of obesity. Another study in rats found that tart cherries can help reduce inflammation and abdominal fat, and lower the risk of metabolic syndrome. The anti-inflammatory properties of cherry juice combined with a dash of sleep-regulating melatonin may help you sleep better, according to a recent study. The results suggest that tart cherry juice has similar effects as insomnia medications like valerian or melatonin on older adults. In a 2003 study, researchers pitted cherry juice against the NSAID sulindac, which is the most common preventive anti-inflammatory treatment for colon tumors. Although an animal study, it is notable that cherry juice — unlike the NSAID — reduced the growth of cancer cells. 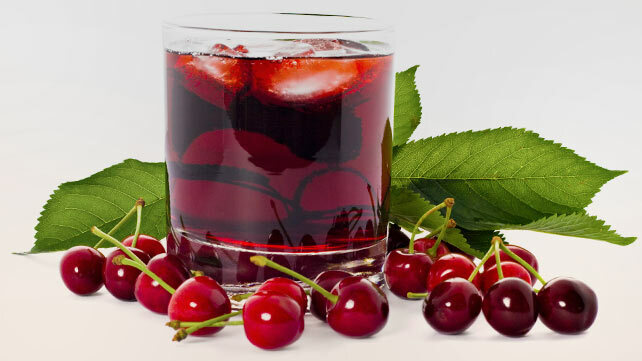 Even without its antioxidants and nutrients, cherry juice is deliciously tart and refreshing. Try replacing sodas and sports drinks with something that can really make a difference to your health. Aging in place requires planning ahead. Want to live in your home for the rest of your life? Boost your odds by "future-proofing" now. Older adults who are most likely to remain in their homes have successfully arranged their houses and lives in ways that maximize their ability to weather the physical and practical setbacks often associated with getting older -- setbacks that can make living independently more challenging. Sure you can get up and down stairs easily now. And sure, many spry octogenarians can do the same. But what if you break a bone and require extended bed rest? What if you become confined to a wheelchair? It's possible to convert a downstairs room to a bedroom, but not so easy to live on one floor if the only shower is on an upper floor. Think ahead about how you can convert to all-on-one-floor living, should the need arise. You may need to remodel to add a full bath on the ground level, for example, or insert a door to provide privacy in a downstairs room. The living space also needs to be all on one level. Split-level homes can be problematic because wheelchairs and walkers can't easily navigate from one room to the next. One's risk of falling increases with age, often due to medications or certain health conditions. Installing secure grab bars and wall-to-wall carpeting (or bare wood floors, no throw rugs) are smart safety upgrades that will help you avoid broken hips -- one of the most common reasons older adults are forced to leave their homes. Familiarize yourself with the basics of bathroom safety and other home care safety, and start to slowly make your home safer for future needs. Don't overlook good lighting. Dark hallways and burned-out bulbs are a common contributor to accidental falls. Did you know an 85-year-old needs about three times as much light as a 15-year-old does to see the same thing? Sure you can reach tall cupboards, stacked washer-dryers, and back burners easily now. But it's likely that won't always be the case. Even something as simple as a doorknob may be difficult to open if you develop arthritis or other disabilities. At least one lower countertop, a taller toilet, and a front- (rather than top-) loading washer and dryer raised up from floor level are all examples of slightly modified household items that become easier to use later in life. Lever-type door handles, paddle faucets, and curbless showers make these devices easy to use even in the event of arthritis or other disabilities affecting mobility. 4. Update doors and doorways. At any age, you want to be sure you can get from room to room without trouble. Specifically: * Replace doorknobs with levers, which push down easily. * If possible, keep door frames at 36 inches (or more) wide to allow wheelchair access. * Zero threshold doors are easiest to navigate for those in wheelchairs or using walkers. * Install a ramp to at least one entryway into the house, if necessary. A simple wooden ramp is the least expensive option, but add slip-resistant material to prevent accidents. 5. Add accessible outlets and switches. The most accessible homes have easy-touch light switches about 42 inches off the ground. Ample electrical outlets throughout the house can handle any necessary medical equipment; outlets should be 18 inches from the floor for optimal accessibility. To allow for the possibility of a chairlift in the future, stairways should be four feet wide. The steps should be deep enough to accommodate the entire foot, and you’ll want to install treads. 7. Install grab bars and handrails. One important way to prevent accidents is to install handrails on both sides of stairways. In the bathroom, put in grab bars by the toilet and in the bathtub and shower. A tub transfer seat can be useful, though the best option is to remove the tub altogether and instead make sure the shower is safe to use. Because eyesight tends to worsen with age, it’s a good idea to add more and brighter lights in the house, for better visibility. Familiarize yourself with the principles of universal design, for a home you can live in forever -- bringing together safety, convenience, and style for residents of any age. Episcopal Homes of Minnesota in Saint Paul! The residents there are using our Balance and Posture program. Apparently, the residents are also doing Chair Yoga with some little ones as part of their intergenerational programming. If you’ve never exercised, or if you stopped exercising for some reason, you need not resign yourself to a sedentary (unhealthy) life. Programs like Stronger Seniors are designed just for you- to help you start slowly, and build up to a routine you will enjoy and stick with. Studies show that getting the right amount of sleep is an important part of maintaining a healthy weight and avoiding obesity, which has been linked to colorectal, breast and kidney cancers. This is not meant to scare you, just another reason to take care of your body. Struggling to lose weight? It may not have anything to do with your diet or activity level. Studies show that getting the right amount of sleep is an important part of maintaining a healthy weight and avoiding obesity. Obesity has been linked to an increased risk for several types of cancer, including colorectal, post-menopausal breast, endometrial, esophageal, kidney and pancreatic. “How long, how well, how deep we sleep, what time we sleep and what happens during sleep all effect our metabolism,” says Carol Harrison, a senior exercise physiologist. The simple equation for weight loss is to burn more calories or energy than consumed. But anyone who has been on a diet knows that it’s not nearly that simple. Studies show that sleep may be a part of the reason why. Our internal clocks are called circadian rhythms. The circadian rhythm determines our sleep patterns, our heart rate and blood pressure. “If our internal timing – in other words, our circadian rhythm – doesn’t match our external timing, then it can have a negative effect on our metabolisms,” Harrison says. And remember- regular exercise will improve your sleep. Geriatricians are “experts in complexity,” said Dr. Eric Widera, director of the geriatrics medicine fellowship at the University of California, San Francisco. No one better understands how multiple medical problems interact in older people and affect their quality of life than these specialists on aging. But their role in the health care system remains poorly understood and their expertise underused. Basic knowledge. Geriatricians are typically internists or family physicians who have spent an extra year becoming trained in the unique health care needs of older adults. They’re among the rarest of medical specialties. In 2016, there were 7,293 geriatricians in the U.S. — fewer than two years before, according to the American Geriatrics Society. Geriatricians can serve as primary care doctors, mostly to people in their 70s, 80s and older who have multiple medical conditions. They also provide consultations and work in interdisciplinary medical teams caring for older patients. Recognizing that training programs can’t meet expected demand as the population ages, the specialty has launched programs to educate other physicians in the principles of geriatric medicine. “We’ve been trying to get all clinicians trained in what we call the ‘101 level’ of geriatrics,” said Dr. Rosanne Leipzig, a professor of geriatrics at the Icahn School of Medicine at Mount Sinai in New York City. Essential competencies. Researchers have spent considerable time over the past several years examining what, exactly, geriatricians do. A 2014 article by Leipzig and multiple co-authors defined 12 essential competencies, including optimizing older adults’ functioning and well-being; helping seniors and their families clarify their goals for care and shaping care plans accordingly; comprehensive medication management; extensive care coordination; and providing palliative and end-of-life care, among others skills. Underlying these skills is an expert understanding how older adults’ bodies, minds and lives differ from middle-age adults. “If you’re losing weight, you’re falling, you can’t climb a flight of stairs, you’re tired all the time, you’re unhappy and you’re on 10 or more medications, go see a geriatrician,” said Dr. John Morley, professor of geriatrics at Saint Louis University. “Much of what we do is get rid of treatments prescribed by other physicians that aren’t working,” Morley continued. Recently, he wrote of an 88-year-old patient with metastasized prostate cancer who was on 26 medications. The older man was troubled by profound fatigue, which dissipated after Morley took him off all but one medication. (Most of the drugs had minimal expected benefit for someone at the end of life.) The patient died peacefully eight months later. Eubank tells of an 80-year-old combative and confused patient whom her team saw in the hospital after one of his legs had been amputated. Although physicians recognized the patient was delirious, they had prescribed medications that worsened that condition, given him insufficient pain relief and overlooked his constipation. Over the next four days, the patient improved every day and was successfully discharged to rehabilitation. Finding help. A geriatric consultation typically involves two appointments: one to conduct a comprehensive assessment of your physical, psychological, cognitive and social functioning, and another to go over a proposed plan of care. The American Geriatrics Society has a geriatrician-finder on its website — a useful resource. Also, you can check whether a nearby medical school or academic medical center has a department of geriatrics. Many doctors claim competency in caring for older adults. Be concerned if they fail to go over your medications carefully, if they don’t ask about geriatric syndromes or if they don’t inquire about the goals you have for your care, advised Dr. Mindy Fain, chief of geriatrics and co-director of the Arizona Center on Aging at the University of Arizona. Also, don’t hesitate to ask pointed questions: Has this doctor had any additional training in geriatric care? Does she approach the care of older adults differently — if so, how? Are there certain medications she doesn’t use? “You’ll be able to see in the physician’s mannerisms and response if she takes you seriously,” Leipzig said. If not, keep looking for one who does. If you have decided to make make 2017 a more healthful year for you, your lifestyle choices will change. What course will you chart? Diet? Exercise? How much? How little? ?? Effect of exercise on brain health With aging, however, proteins called brain-derived neurotrophic factor levels fall. The decline is considered one reason brain function deteriorates in the elderly. Certain types of exercise, namely, aerobic exercises that get your heart pumping, are thought to counteract these drops and help restore youthful levels to better protect the aging brain and offset dementia. Arthritis is a clear sign of poor bone health that approaches primarily as one starts aging. It mainly affects the joints and people suffering from it complain of joint pain and stiffness. Other symptoms may include redness, warmth, swelling, and decreased range of motion of the affected joints. There are medications and physiotherapy to avoid aches and pains related to the condition, but a new study has suggested that mild exercise could help reduce arthritis pain in the elderly. The study says that, low-impact exercise program helps to decrease pain, improve mobility and enhance quality of life in older adults with arthritis and other muscle and joint conditions. "Joints will often stiffen if not used and muscles will weaken if not exercised. Our bodies are meant to move, and inactivity leads to weakness and stiffness, and joints with arthritis often worsen with inactivity," said Theodore Fields, Managing Director of Rheumatology Faculty Practice Plan at Hospital for Special Surgery (HSS), US. Participants performed chair and floor mat exercises using stretch bands and other gentle exercises. Chinese breathing techniques and meditation were also integrated into the program. "The study results are consistent with the experience of rheumatologists and with prior studies showing that exercise, even of mild degree, helps with pain. Getting people up and moving does appear to help with mood, pain and overall functioning," Fields added. The study was presented at the American Public Health Association annual meeting. Let’s face it. Quantity without quality is no fun. Quality without quantity is a ripoff. You really need both quality and quantity to get the most out of retirement years. You need functional longevity.